We are in the development and growth phase of our endowment fund. All contributions and matching funds will add to our endowment. It is our intent to use our endowment earnings for those needs not normally within the scope of the church's annual operating budget. All funds are held and managed by the Greater Salina Community Foundation. 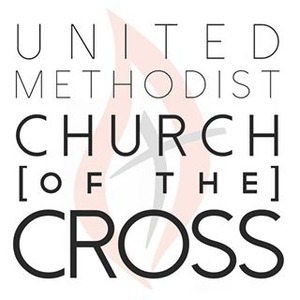 Church of the Cross - United Methodist, Salina, Kansas is a Caring Community reaching out to transform lives through Knowing, Loving, and Serving God! The Church's Endowment Fund receives gifts that look to the future and enhance the ability of our Church to promote its ministries and care for its property. Gifts to this fund will serve to keep the mission of Church of the Cross alive and growing, and continue a legacy for generations to come so that they may know Christ. Church of the Cross – United Methodist seeks to deepen faith experiences for current members and for those who will come after us. A spiritually robust church is found in our traditional and contemporary worship services, small group experiences, and children’s, youth and adult activities. Every activity, sermon, and program is directed at growing faith. Our Angel Academy preschool reaches over 180 children, as the youngest among us begin their faith development. We continue our faith journey through active music ministries, fellowship, mission outreach, and Cub Scouting activities. Match Madness will help grow our endowment so that we may continue our strong commitment to faith development into the future.